Microsoft founder Bill Gates is on coarse to becoming the world’s first trillionaire and could hit the milestone within the next 25 years, a new report has found. 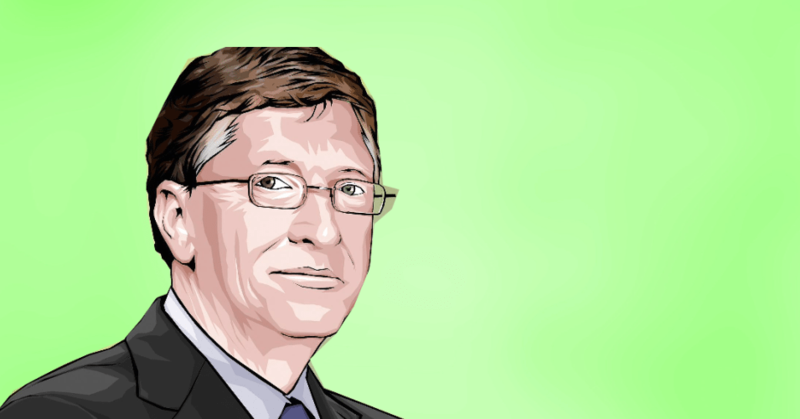 The study has predicted Gates’ future wealth using the average rate of growth of his investments, which have been growing by 11 per cent since 2009. At this rate, Gates, who is currently number one on Forbes’ list of wealthiest people with a net worth of $85bn, could easily be a trillionaire by the age of 86. His eye-watering levels of wealth come following a report by Oxfam that revealed the top 1 per cent of the population has owned more wealth than the remaining 99 per cent, and that eight men currently possess the same amount of money as the 3.6 billion people who make up the poorest half of the planet. Katy Wright, Oxfam’s head of global external affairs, said the report helped the charity to “challenge the political and economic elites”, adding that economic inequality was fuelling a polarisation in politics. She pointed to Donald Trump’s election as US president and the Brexit vote as examples. “We’re under no illusions that Davos is anything other than a talking shop for the world’s elite, but we try and use that focus,” she added. There are only fifteen countries with a nominal GDP of over $1 trillion, meaning if Gates reaches the landmark he could have the same wealth as countries such as The Netherlands, Switzerland and Argentina, along with 181 other nations.